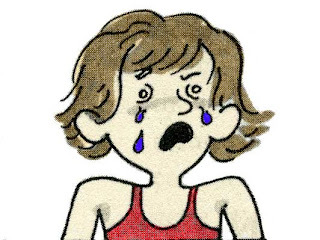 1) Allow children to have their feelings so they can learn they are capable of dealing with them. 2) Don’t fix, rescue, or try to talk children out of their feelings. 4) Then keep your mouth shut and have faith in your children to work it through. I really love this tool card. As a single dad, I need this reminder because feelings are not my strong suit. Often times the mother will be the one that provides emotional support for the children. Dad usually jumps in with something profound like "Rub some dirt on it, you will feel better in a minute." 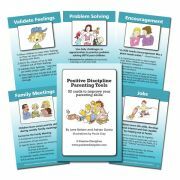 This tool card is all about allowing our children to have their feelings in a loving, supportive way. The important part is allowing our children to have their feelings without feeling like they will lose our love. I know there have been many times when I have actually told my children to stop having their feelings. "Stop being so dramatic." "That's nothing to be upset about." "Stop that right now! There's no reason to be angry!" I like the line in this tool card..."I can see you are really (angry, upset, sad)." Obviously this line can be delivered in a condescending way, but if we sincerely validate our child's feelings, I think they will feel empowered. They may not even know why they are (angry, upset, sad). I know I've had days like that. Sometimes that's just how you feel. People (and kids) have different ways of dealing with their feelings. So it will be interesting to see what happens when we allow our children to have their feelings and deal with them in their own way. I would be interested to hear some of your experiences in the coming week. The following is a music video with clips from one of my favorite movies "Peaceful Warrior". I have also included a quote from the author of the book by the same title. What I'm learning this week is that it's important to validate feelings - even when dealing with a display of feelings that's stemming from the mistaken goal of undue attention (thanks for that pointer to the mistaken goals chart!). There's likely a real feeling underneath the annoying display.